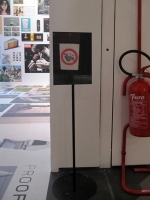 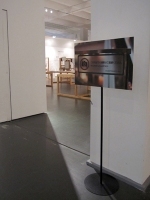 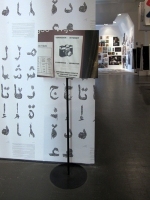 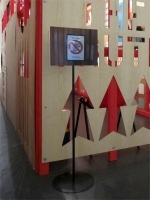 26 free standing metal stands displaying laminated digital photographs of Photographs of signs that tell you not to take photographs. 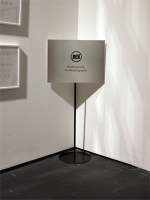 Each photograph is printed at a different scale so the original ‘No Photo’ sign pictured within has a diameter of 10cm. 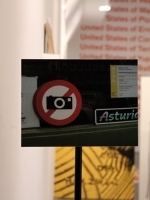 The new signs subvert the very rule the original signs sort to impose. 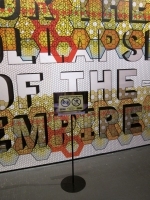 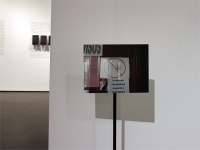 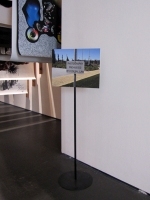 First exhibited at the La Triennale di Milano maintaining the museums policy of ‘No Photography in the Gallery’.